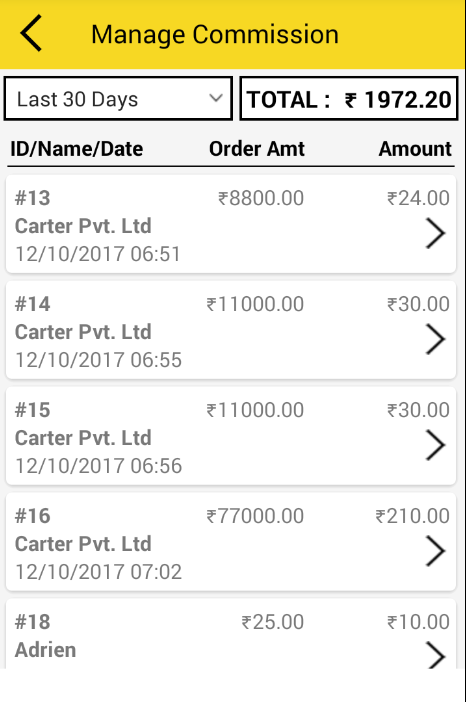 A simplified interface where sales executive can enter payments due and make call as per dates set. Also can delete these payment followup entries once received. -Select “+” icon from upper right corner of screen. -Add detail as customer name, select date by clicking on calender icon and enter amount whatever user has to take and click on save button. 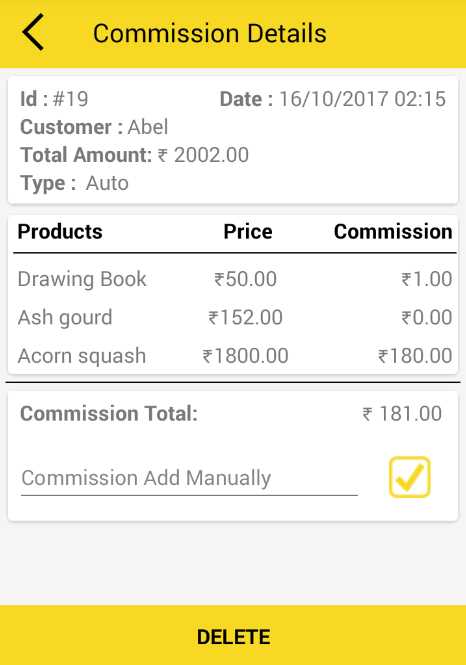 – This Amount will be saved in Payment Follow-up List which can be edited and deleted by swipe in right and left respectively. – By clicking long press in any row will open check-box so user can delete multiple row at a time.